Narnia fans who can’t get enough of the stage version of Prince Caspian will soon have the opportunity to bring a bit of it home with them on DVD. Back to Narnia: The Making of Prince Caspian is currently available to pre-order. The documentary devotes a large portion of time to the preparations for a performance of Logos’ version of The Lion, the Witch, and the Wardrobe at a fine arts festival in Scotland, which was taking place simultaneously as the initial development of their version of Prince Caspian. The rest of the nearly one-hour runtime focuses on the various behind-the-scenes parts of stagecraft required to develop an entirely new play. The script, casting, sets, makeup, and sound design are all covered. Most of the special effects used in the play are not described, but those interested in stagecraft should enjoy what pieces are explained in detail, such as creating Beruna’s Bridge, which needed to hold together, come apart, and then be put back together for the next performance. The highlight of the DVD is an interview between Douglas Gresham and Stratton. They discuss not only what Gresham thought of the play, but also the importance of live theater as a medium and the influence of C.S. Lewis’ works. The final run of Prince Caspian ends April 28th. Read our review here, and order tickets with the NarniaWeb discount. Nicole Stratton to direct The Chronicles of Narnia: The Horse and His Boy! (2022) – Adapted from her own stage play. I can dream, can I? That would be a dream worth waking up to. The Horse and His Boy LIVE on stage at The Logos Theatre will premiere March 2019!! 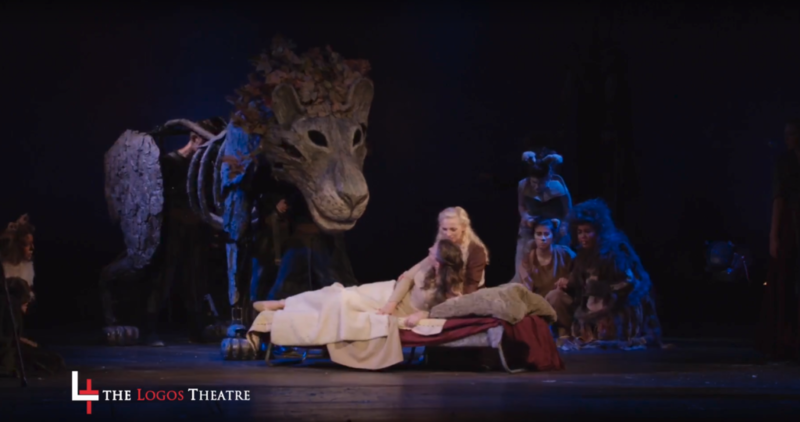 We are SO excited to be bringing this Narnia adventure to life! Maybe one day we Narniawebbers can sign a petition for John Campbell to release scores for his Narnia Radio Theater music. Like JFG said, I can dream, can’t I? (I also agree Nicole Stratton should direct a Narnia movie)!